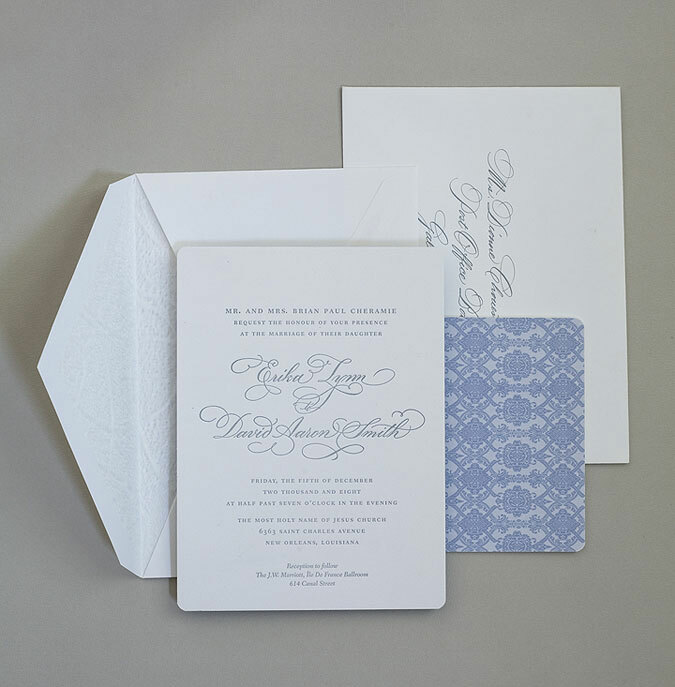 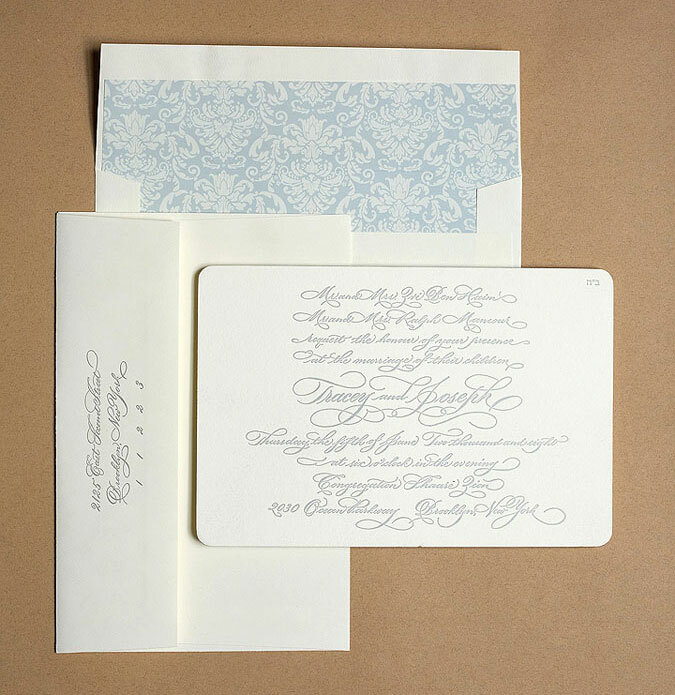 Your invitation is the first glimpse your guests will have of the upcoming wedding, and for some, the only one. 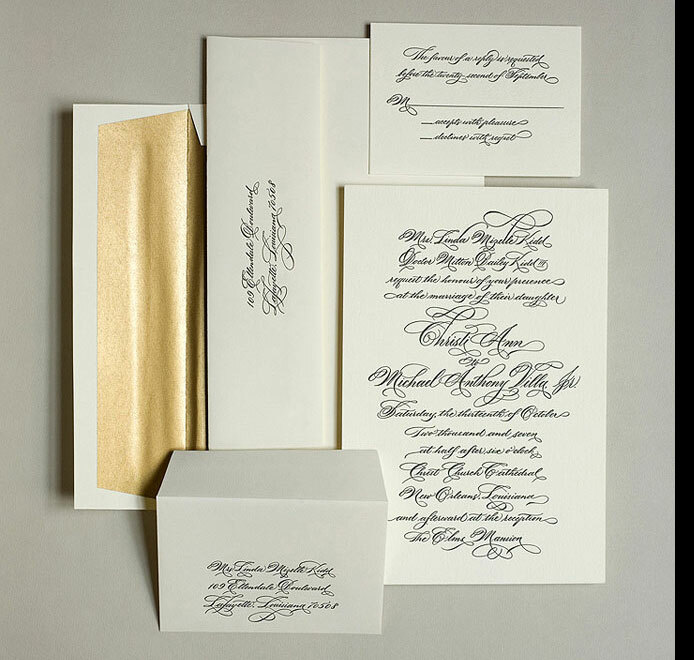 Set the tone and make it a keepsake everyone would treasure. 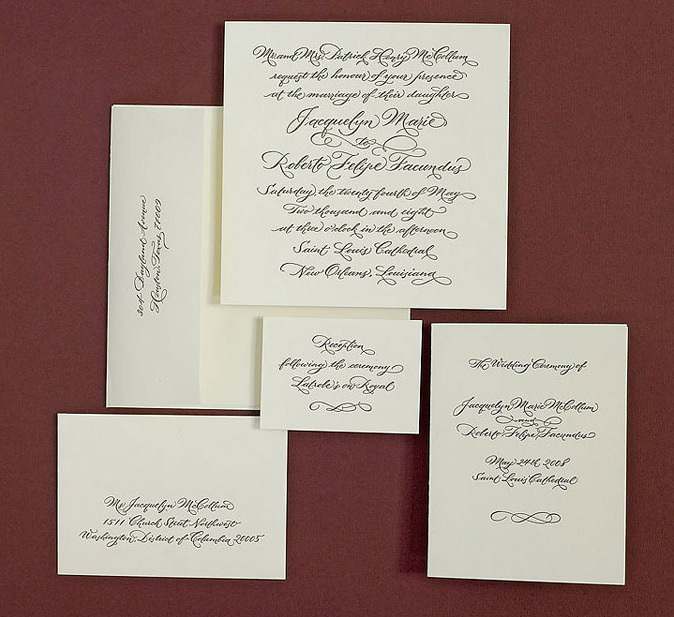 You may want to opt for a unique hand-lettered design rather than a widely used typeset. 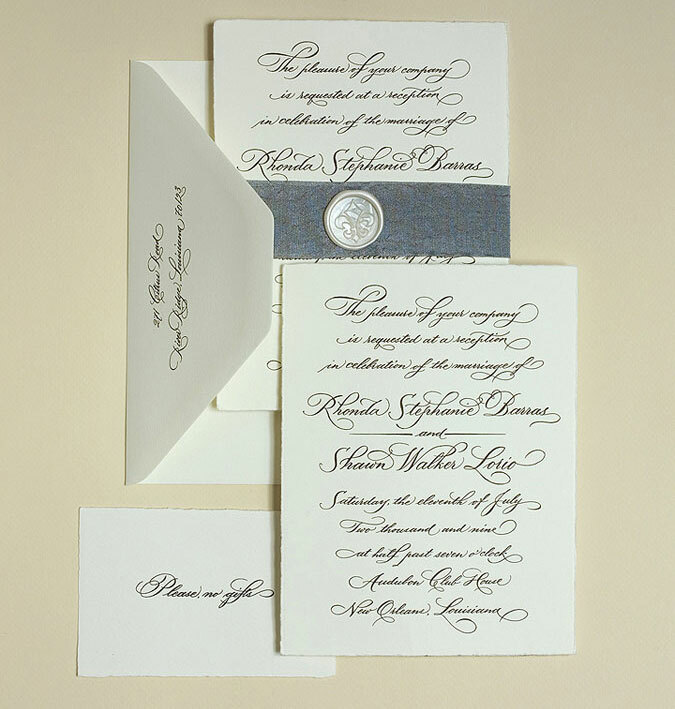 All my designs are one of the kind custom creations lettered with your dreams and taste in mind. 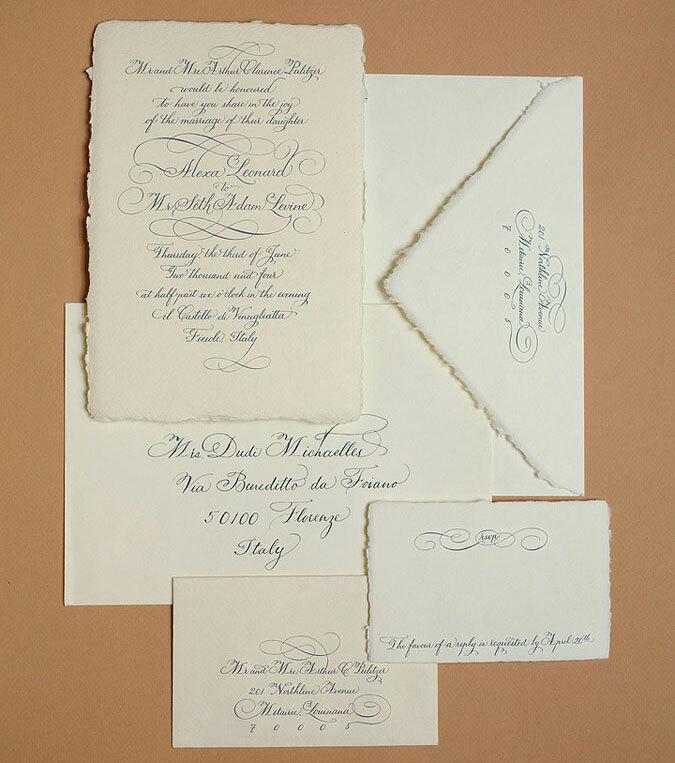 Presented is just a small selection to give you an idea of endless possibilities. 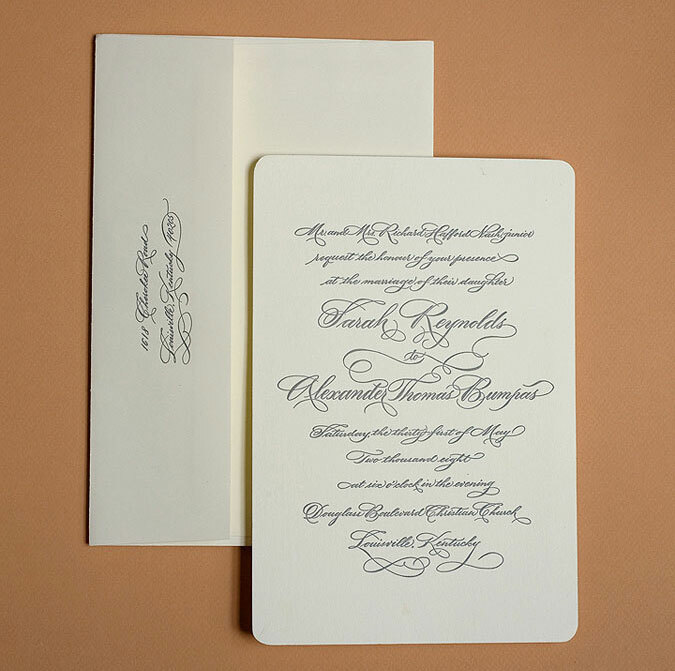 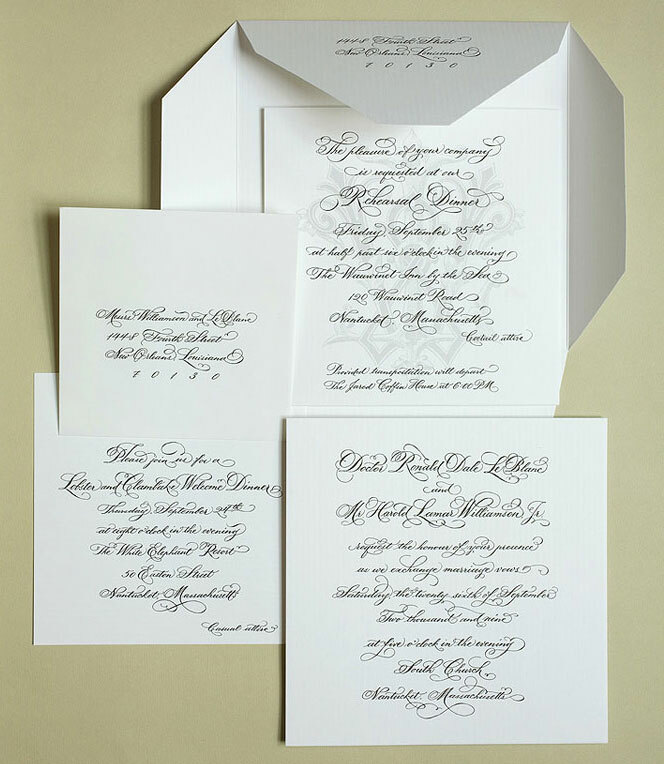 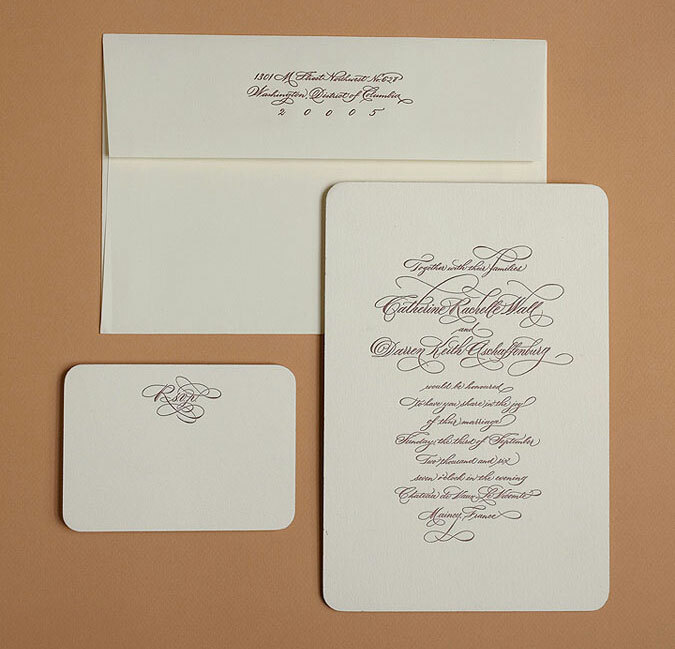 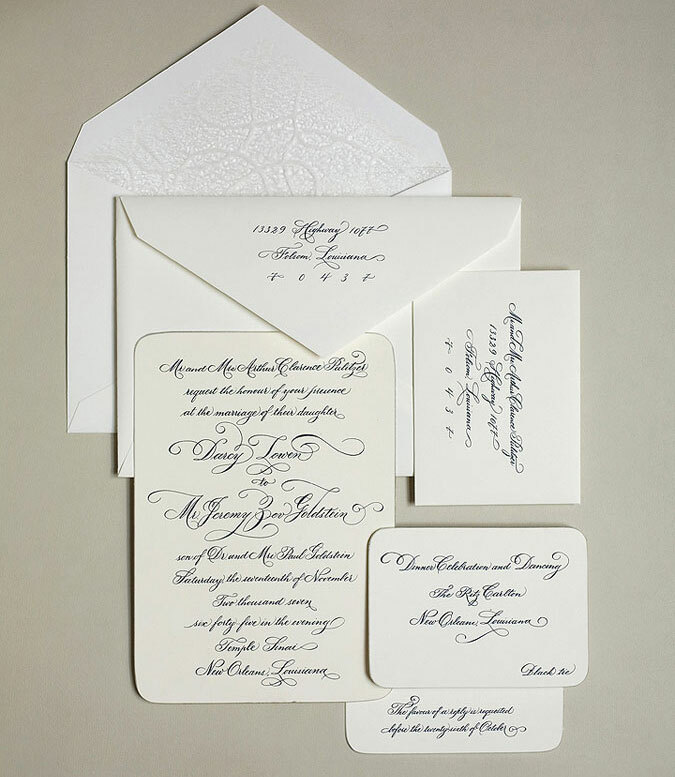 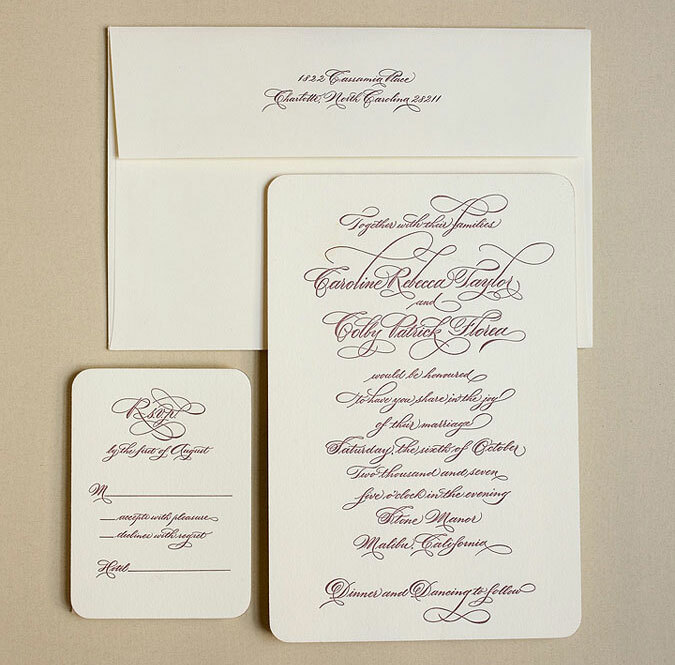 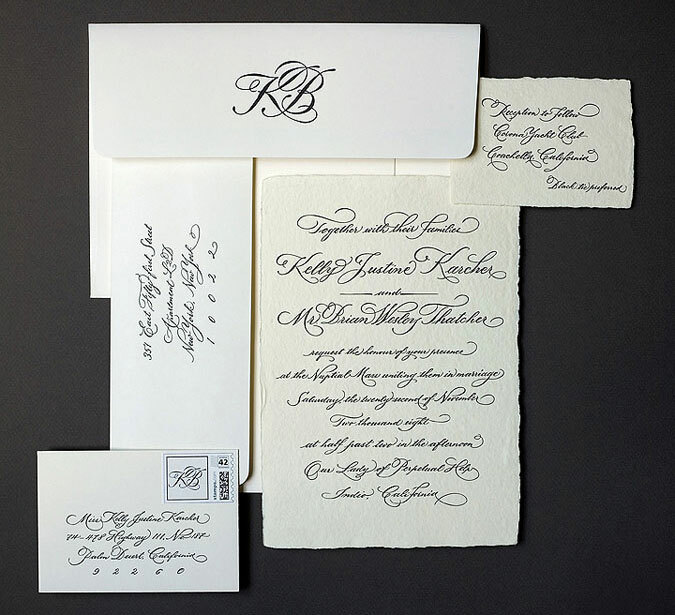 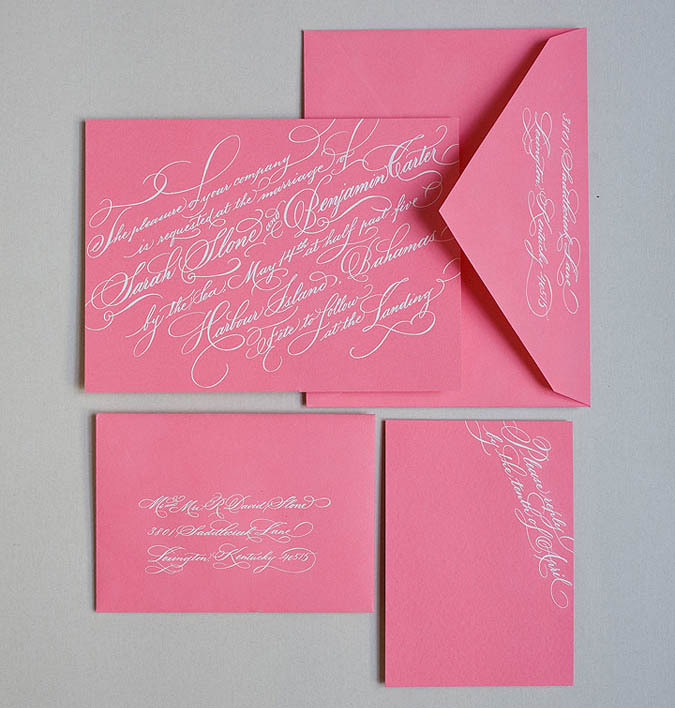 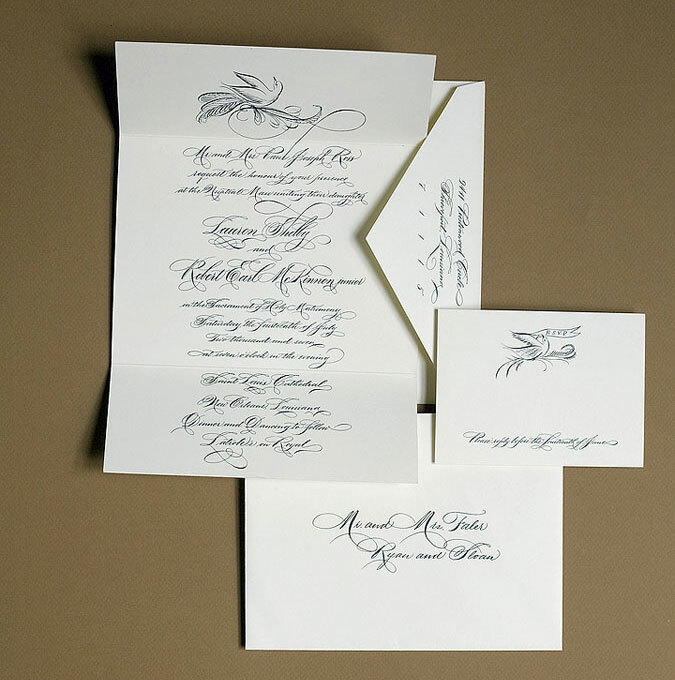 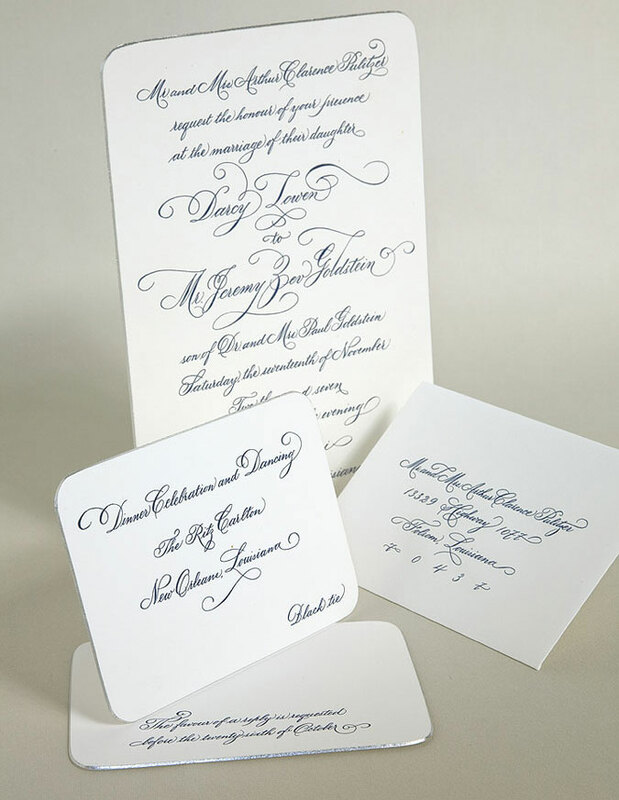 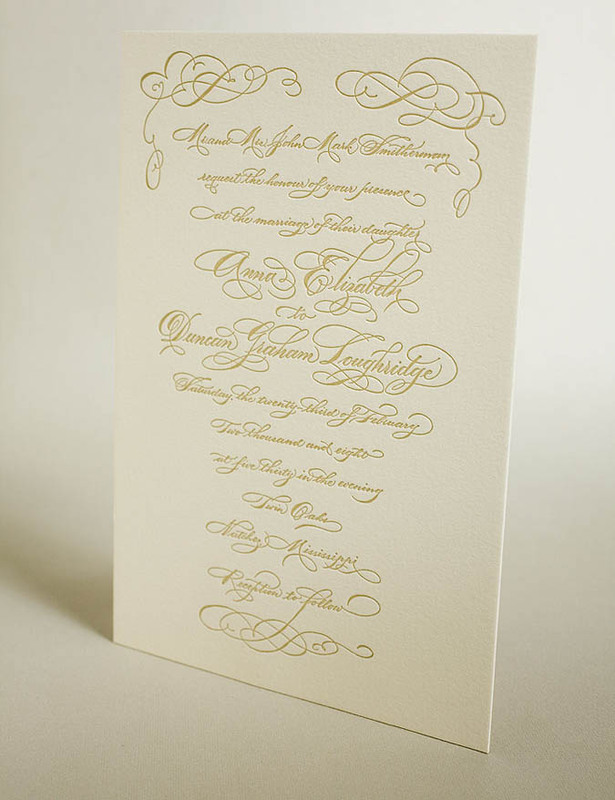 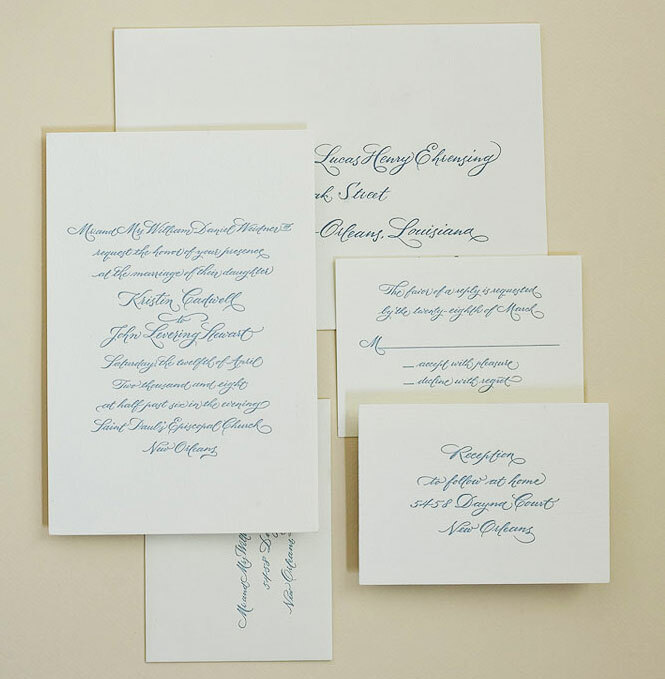 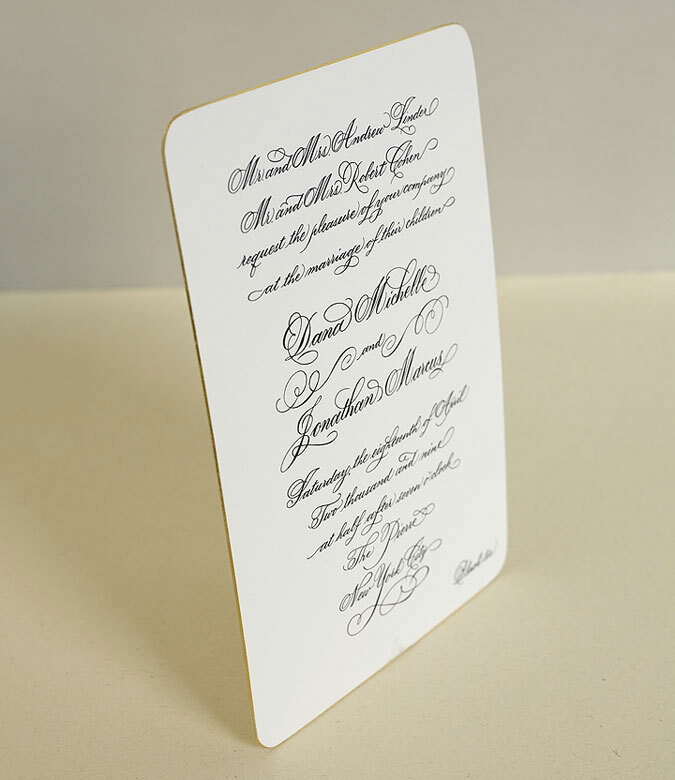 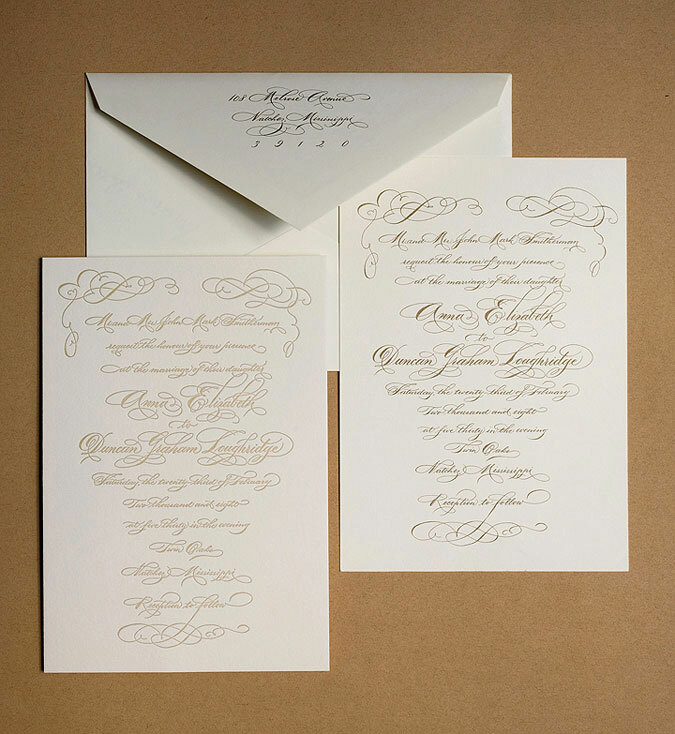 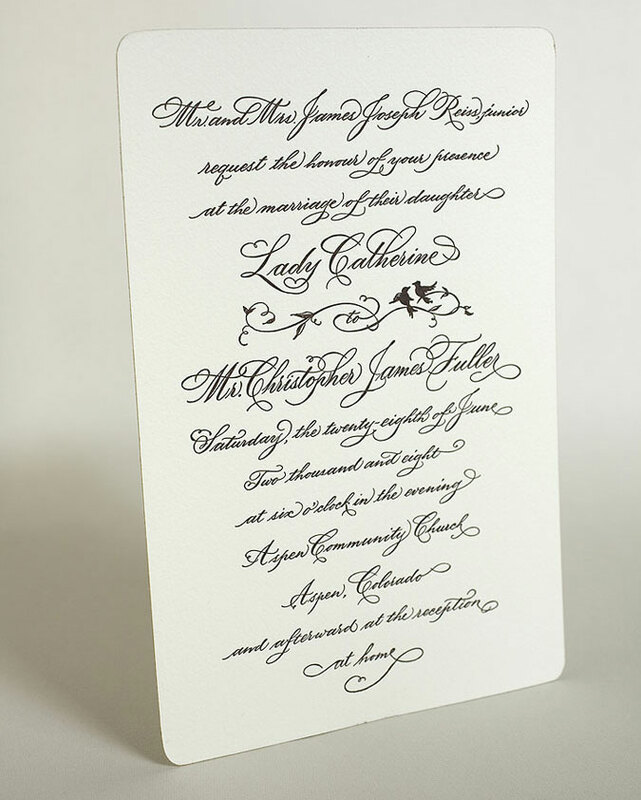 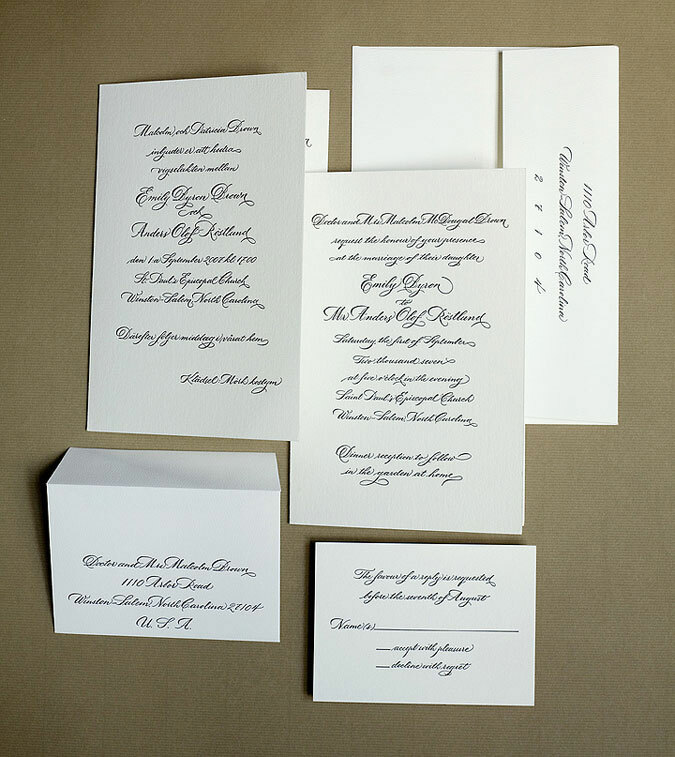 If you have rather contemporary taste or maybe somewhat smaller budget, having only bride and groom’s names written in calligraphy for your invite may be the way to go. 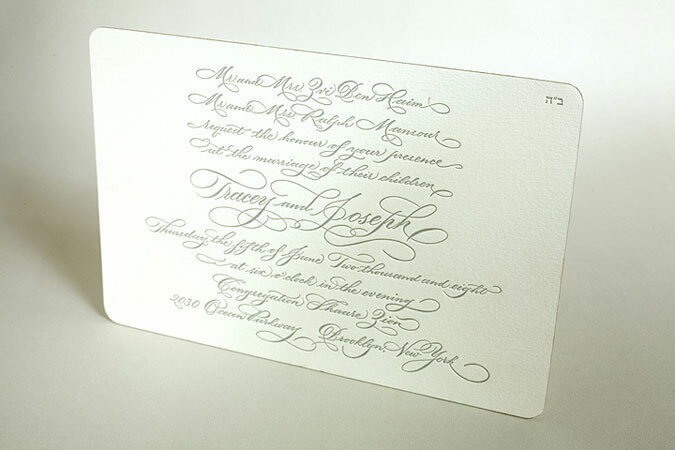 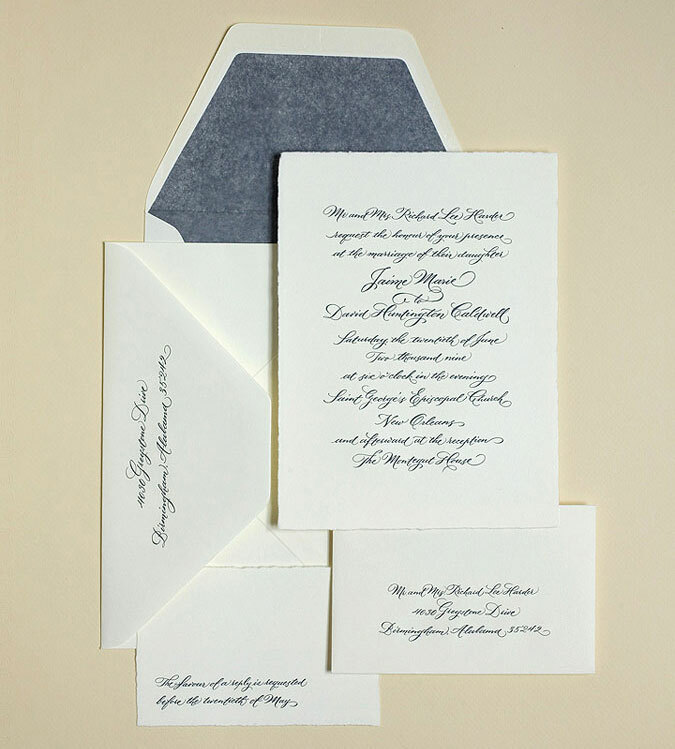 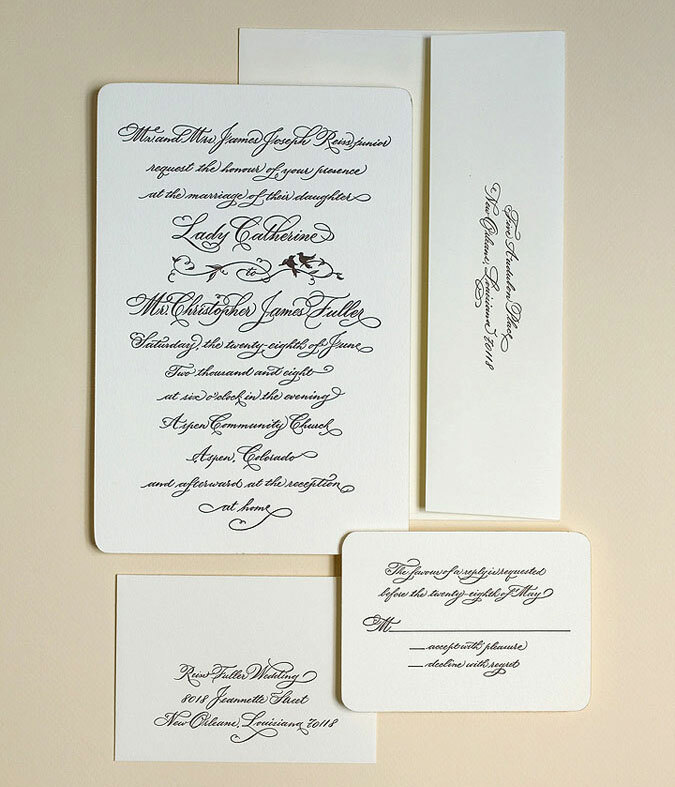 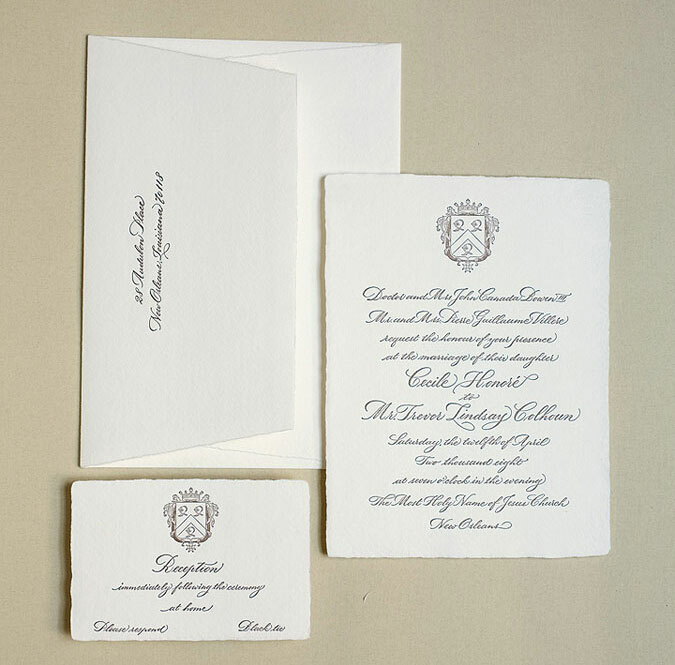 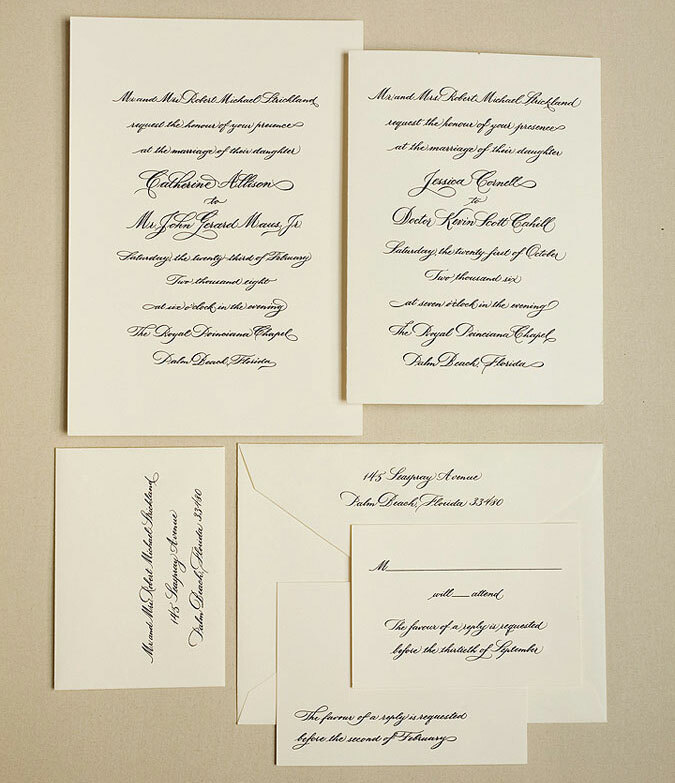 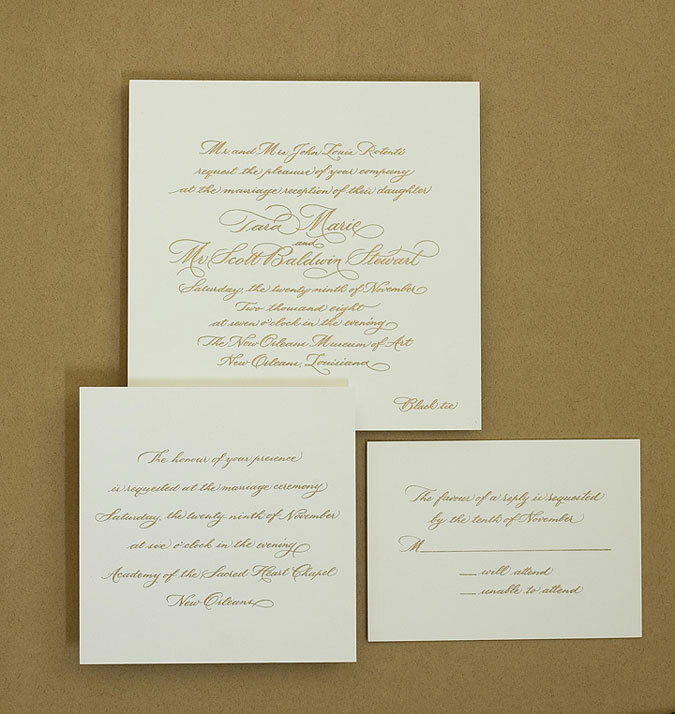 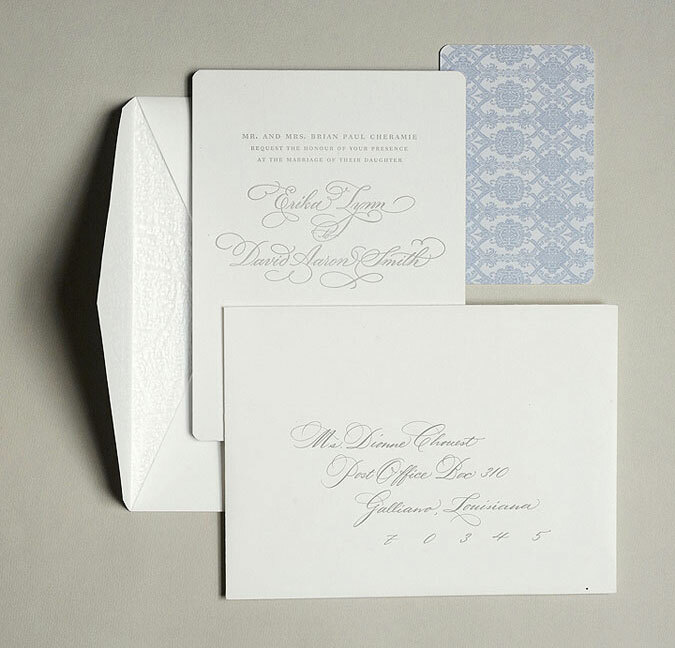 It’s nice to incorporate some custom look into typeset invitation. 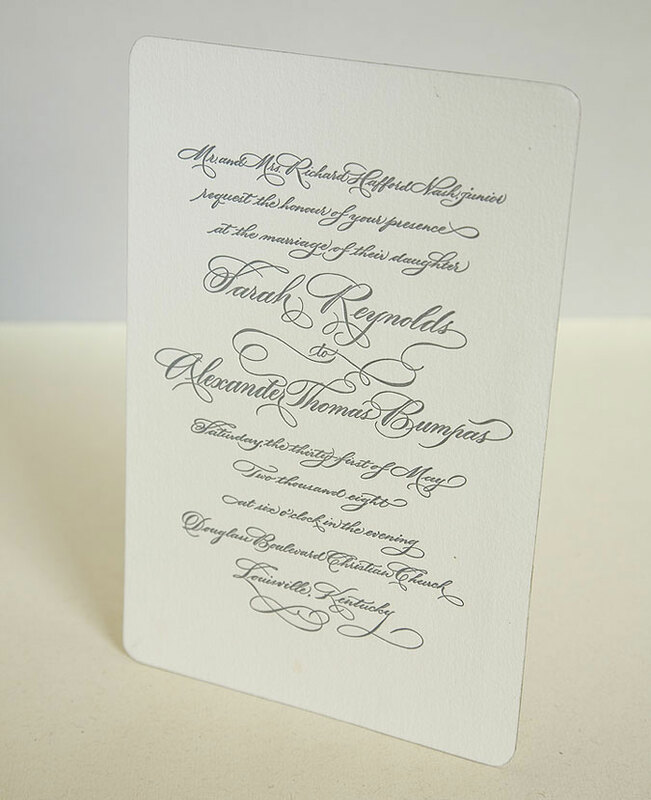 Ask for special packages of hand-lettered names and phrases to insert into computer-designed layouts. 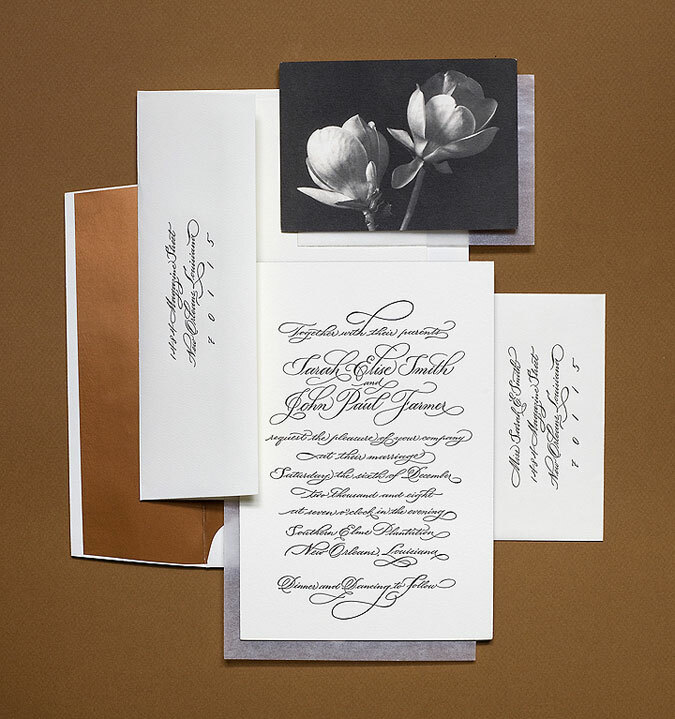 For a complete layout-design, I create a camera-ready artwork of the invitation and accompanying pieces that you can take to your stationer, and have it printed whichever way you wish – using engraving, letterpress, etc. 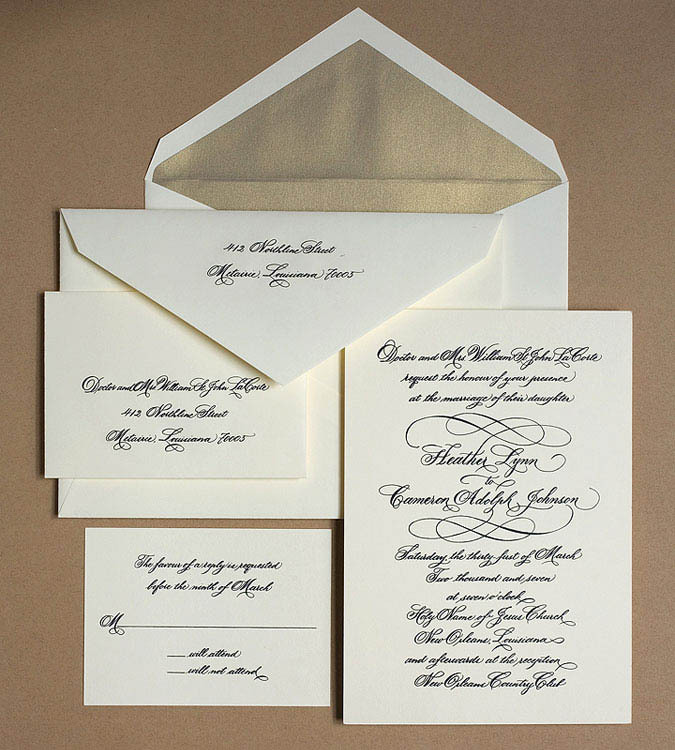 The look will be completed by envelopes addressed in the same hand. 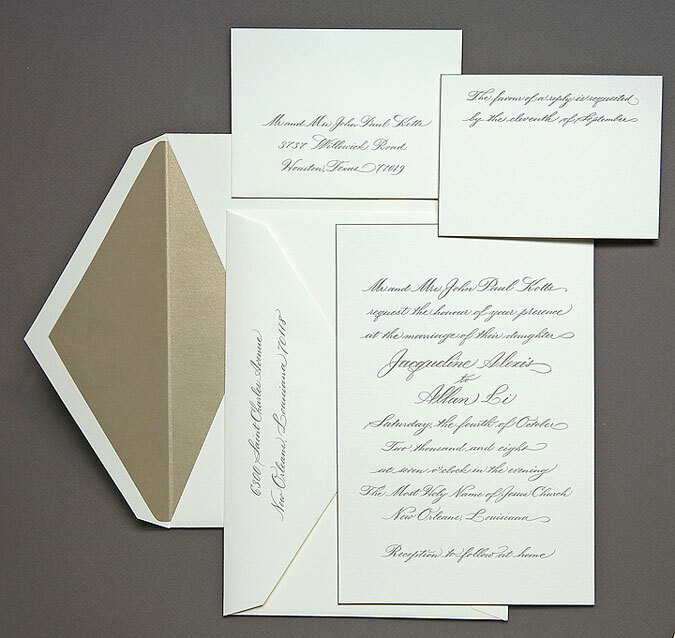 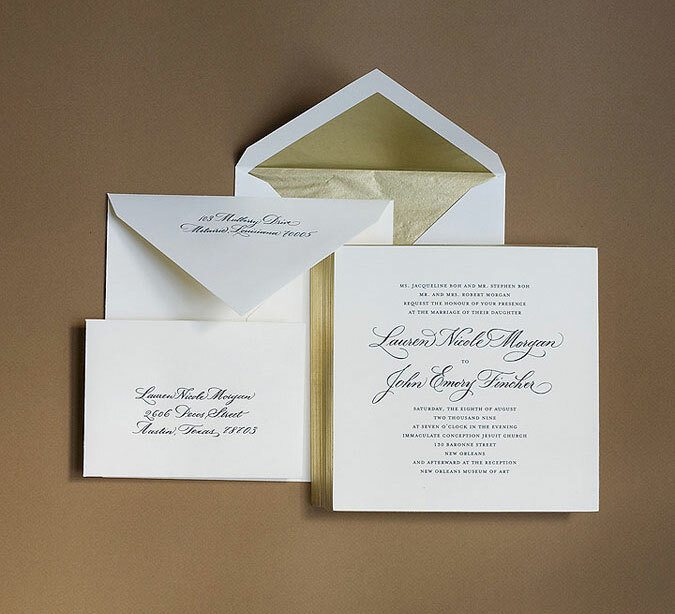 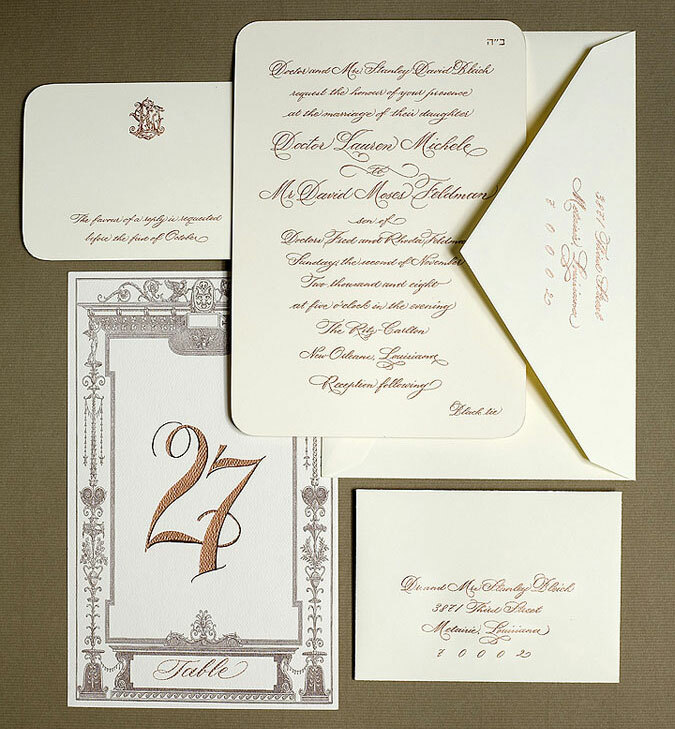 Invitation designs are quoted according to their complexity and amount of work involved. 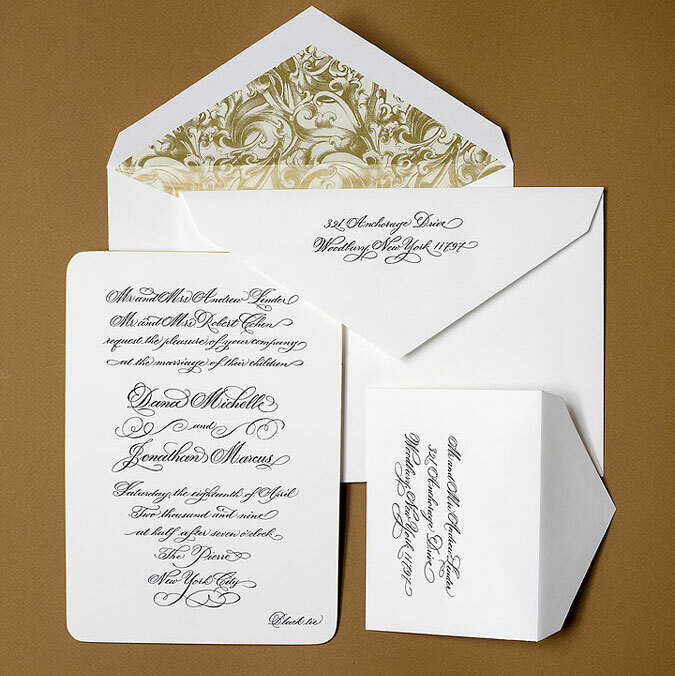 Simple designs are more affordable while elaborate creations are priced somewhat higher.